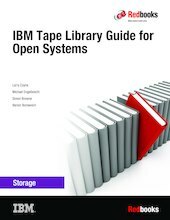 This IBM® Redbooks® publication presents a general introduction to the latest IBM tape and tape library technologies. Featured tape technologies include the IBM LTO Ultrium and Enterprise 3592 tape drives, and their implementation in IBM tape libraries. This 16th edition introduces the new TS1160 tape drive with up to 20 TB capacity on JE media and the latest updates to the IBM TS4500 and TS4300 tape libraries, It includes generalized sections about Small Computer System Interface (SCSI) and Fibre Channel connections, and multipath architecture configurations. This book also covers tools and techniques for library management. It is intended for anyone who wants to understand more about IBM tape products and their implementation. It is suitable for IBM clients, IBM Business Partners, IBM specialist sales representatives, and technical specialists. If you do not have a background in computer tape storage products, you might need to read other sources of information. In the interest of being concise, topics that are generally understood are not covered in detail.